JANUARY 14, 2019 — New Zealand is to have its first fully electric zero emission ferry. The East by West Wellington Harbour Ferry service, reports that the NZ$4 million (about US$2.7 million) 19 m long, 135 passenger ferry will soon begin construction for completion in December 2019. 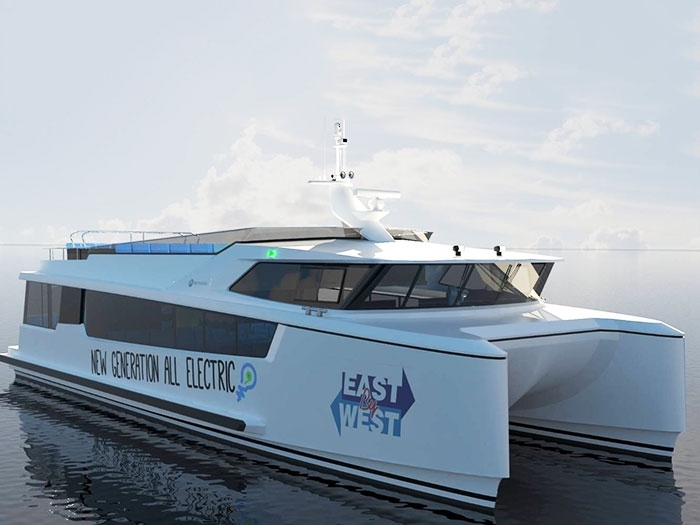 East by West Managing Director Jeremy Ward says the the new vessel will be the first all-electric, carbon-free, zero emission passenger ferry in and the first in the Southern Hemisphere. The adoption of full carbon/foam construction is the enabling technology which when combined with the highly efficient canoe-stern hull form, reduces resistance and allows the weight (and therefore cost) of batteries to be minimised. In real terms, says East by West, the annual operational cost of the existing ferries by replacing diesel, will be massively reduced., not to mention the major benefits of zero emissions. The project will also create a new boat building industry in Wellington. East By West has formed the Wellington Electric Boat Building Company (WEBB), to be headed by experienced boat builder, Fraser Foote, who built East by West’s second ferry, Cobar Cat in 2006. The new WEBB warehouse and shipyard at Gracefield Road, Seaview, will employ around a dozen people and will be supported by the project’s designers and naval architects SSC Marine, with McKay Electrical providing the electrical engineering expertise. 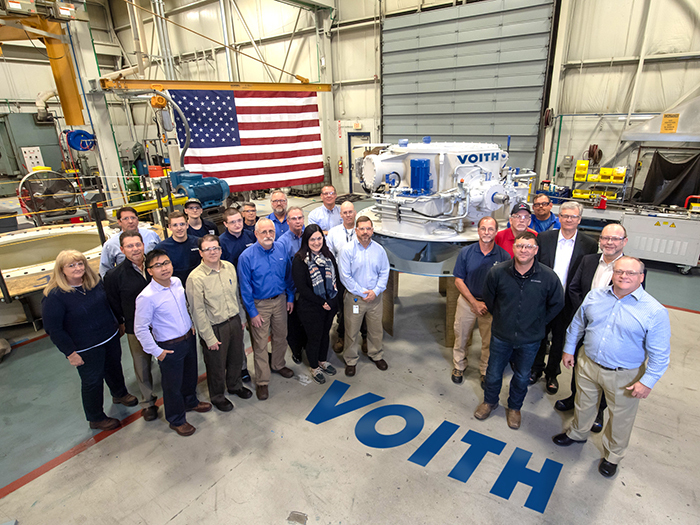 McKay Electrical will design and install the plug-in ferry’d power and energy management, energy storage system and electric propulsion systems. Project delivery is expected in the fourth quarter of 2019. “The good news is electrotechnology is advancing and innovating, bringing with it sustainable solutions for the world’s sea-transport fleets. Here at McKay we are committed to discovering cutting edge electrotechnology solutions that allow our clients to achieve their sustainability goals. Our Research and Development team are committed to advancing our marine based solutions to suit both the New Zealand marine environment, as well as overseas markets” says Lindsay Faithfull, Managing Director at McKay.